Roy Keane has slammed Manchester City on their disrespectful performance against Celtic in the Champions League. Roy Keane claims Manchester City squad is overrated, and they aren’t good as they think. During a show on ITV, the former United legend slammed City because of their lineup, which showed disrespect to opponents Celtic. City played the Scottish club in the Champions League on Tuesday, and the game ended in a 1-1 stalemate at the Etihad. Keane believes Man City didn’t show enough respect for Celtic in their Champions League draw. City loanee Patrick Roberts scored the first goal for of the match for Celtic. But soon after, Kelechi Iheanacho equalized for the home side. Both goals came in the opening 10 minutes of the game at the Etihad Stadium. 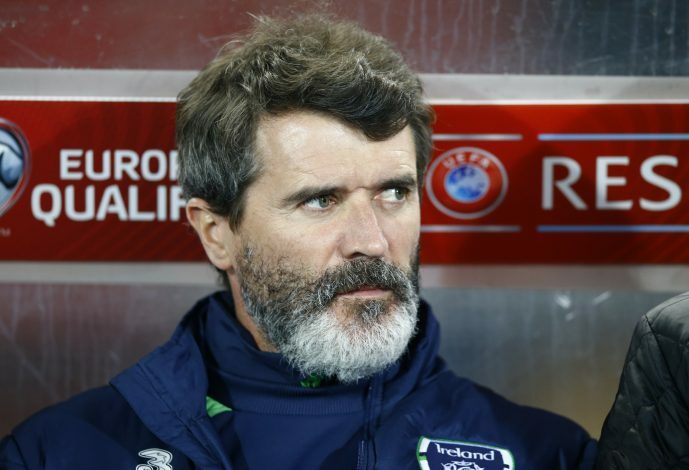 Keane was full of praise for Patrick Roberts, who scored the only goal for the Scottish club. “He’s a good player and took full advantage of the opportunity,” said the Irishman. Even though the match ended in a 1-1 draw, this by no means affected City’s Champions League campaign. Barcelona finished as the winners of Group C, with City finishing second to them. Guardiola and co. are now waiting for the Champions League draws, where they will probably face one of the heavy-weights in next round.